How Shale Is Becoming The .COM Bubble Of The 21st Century. Labour and Lib Dem candidates pledge to defy party line on fracking. More than one in five Liberal Democrat and Labour election candidates have pledged to oppose fracking in defiance of their parties’ promises to foster the industry during the next parliament. 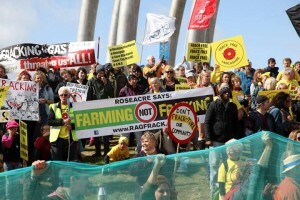 Public support for fracking continues to fall. 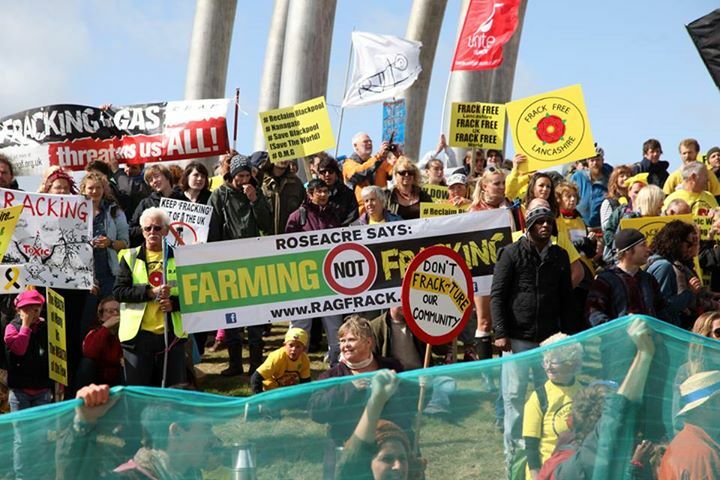 Awareness of fracking has soared from 42 per cent of people in July 2012 to 72 per cent last month, the proportion of people claiming they support the technology has continued its downward trend, falling from 29 per cent last year to 24 per cent this. In contrast, the proportion saying they oppose or strongly oppose fracking rose year-on-year from 22 per cent to 26 per cent. Although many in the UK Government support the continued development of fracking when it comes to drilling for shale gas, there is still much uncertainty as to how far the controls and requirements will extend when it comes to regulating the industry. With the debate surrounding the issue becoming more intense in recent months, questions must be asked about the implications of fracking in the United Kingdom for insurers, especially given the controversial environmental impacts of the process? How will underwriters manage the task of assessing risk, when many of the potential hazards to human health and property have not yet been identified or confirmed as being linked to the fracking process? The party grassroots aren’t as pro-fracking as their leaders would like. Since both parties have just confirmed their support for fracking in their manifestos (albeit heavily nuanced in Labour’s case), this is starting looking like a serious mutiny. If any frackers still retain any doubt about the depth of the crisis into which they have plunged themselves, they should have turned up for a briefing on Tuesday on their latest scheme for finding ways of gaining public acceptance. For the chairman of a special task force they set up to “create a platform for reasoned discussion” of the controversial practice struggled to express any confidence that the industry would long survive in Britain. Scientists are now more certain than ever that oil and gas drilling is causing hundreds upon hundreds of earthquakes across the US, with the evidence coming in from one study after another. Planners agree more time for shale gas decisions. Lancashire County Council has agreed with Cuadrilla to extend the time period to make decisions on planning applications for shale gas development at two new sites to 30 June 2015. The council has received applications from Cuadrilla to drill, frack, and test gas flows, with associated separate applications for environmental monitoring, at two sites in Lancashire – Preston New Road at Little Plumpton, and Roseacre Wood at Roseacre. The extension follows a request by Cuadrilla to consider additional information about the applications. Cuadrilla’s request resulted in the deferral of a meeting of the Development Control Committee in January 2015 at which councillors had been due to make a decision on each application. The council has subsequently consulted upon the new information provided by Cuadrilla and planning officers must now review the feedback from the consultation period, and the details supplied by Cuadrilla, before preparing reports for a further meeting of the committee. Consultation on the further information relating to both sites took place from Friday 20 March to Friday 17 April to allow representations to be made. It had previously been agreed that both applications would be decided by 30 April 2015. The council will announce dates for the applications to be determined by the Development Control Committee in due course. At last a Tory with an honest stance against Fracking .